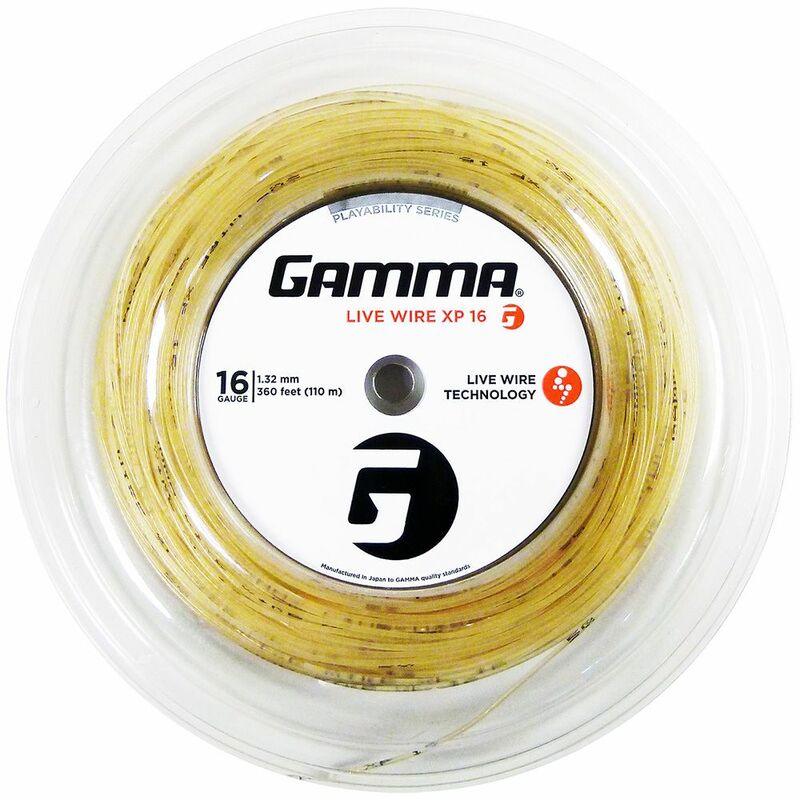 The Gamma Live Wire XP 1.32mm tennis string - 110m reel features multiwrap Live Wire monofibres and Zyex® monofilaments with Pearl Coating to create a firmer “crisp” feel that provides natural gut-like playability and ultimate power. The Zyex® monofilaments added to the outerwrap improve the string’s durability and tension maintenance, whereas the Live Wire technology enables a lively, comfortable feeling even at high tension. The string has a 16 (1.32mm) gauge and is supplied as a 110m (360ft) reel. for submitting product information about Gamma Live Wire XP 1.32mm Tennis String - 110m Reel We aim to answer all questions within 2-3 days. for submitting product information about Gamma Live Wire XP 1.32mm Tennis String - 110m Reel. We aim to answer all questions within 2-3 days. If you provided your name and email address, we will email you as soon as the answer is published. for submitting product review about Gamma Live Wire XP 1.32mm Tennis String - 110m Reel.